Swancorp is a specialist supplier of a diverse range of sulphur products to the agricultural, stockfeed and mining industries in Australia. Swancorp’s sulphur products find use in stockfeed and fertiliser applications. Mining sulphur is used in large volumes as a drossing agent in the mining sector. Swancorp currently markets a prilled sulphur product (3mm-6mm irregular particle size) used in the decoppering of the lead drossing process in the mining industry. This mining sulphur, similar to Swancorp’s sulphur product range is classified non-dangerous for transportation. 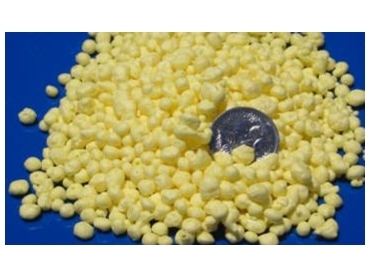 Mining sulphur is available in 25kg bags, 1.2t bulk bags as well as bulk quantities. Swancorp can consider other bag sizes as required, depending on volume.